The introduction of Buddhism with Buddha statue as present, via the country of Kudara, on the Korean Peninsula, to Japan was at the end of the 6th century(learn more about Buddha statue in Japan). In the history of Japan, the main political function was placed in Nara, Kyoto, Kamakura, and Tokyo. 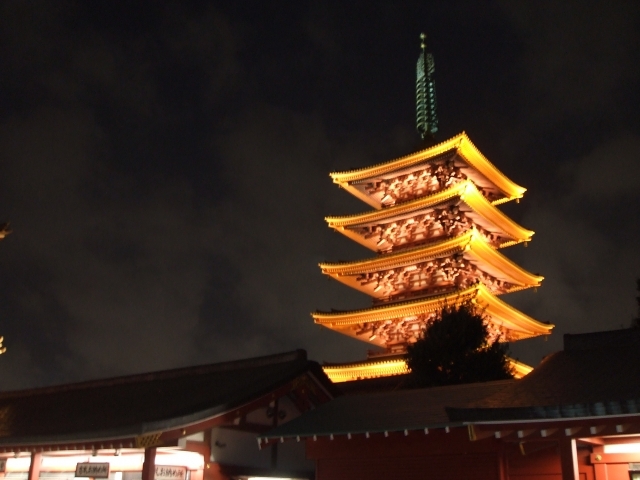 Although there are more than 75,000 temples in Japan, the famous temples get together on the areas. This is the officilal way to pray at a temple. But actually, many of Japanese don’t practice it or know perfectly. So please remember 4, 5, and 6 for the time being! 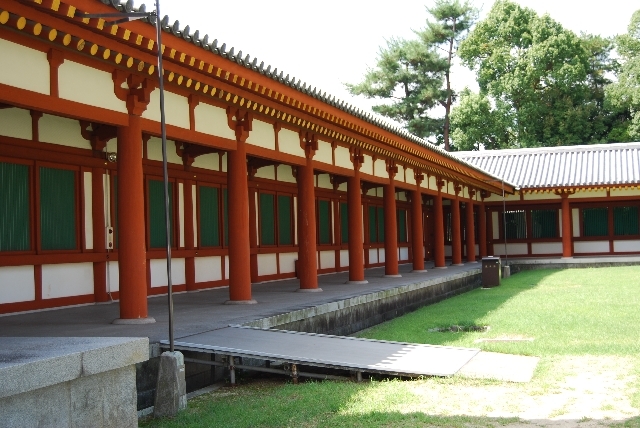 From Asuka Period to Nara Period, the arrangement of building in garan got changed the styles. The word of “Tou” was from “Stupa”in Sanskrit, which meant a building to place the bone of Buddha. Kondo is the place for principal Buddha statue. And it became to occupy an important position in garan. In Heian Period, the capital was moved to Kyoto. 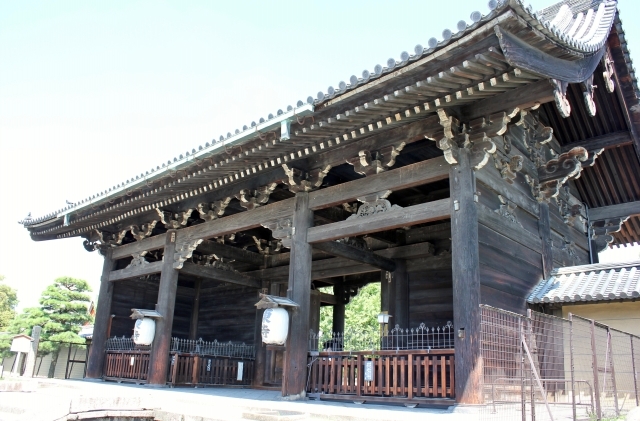 The arrangement of the temple had so various pattern since the period. 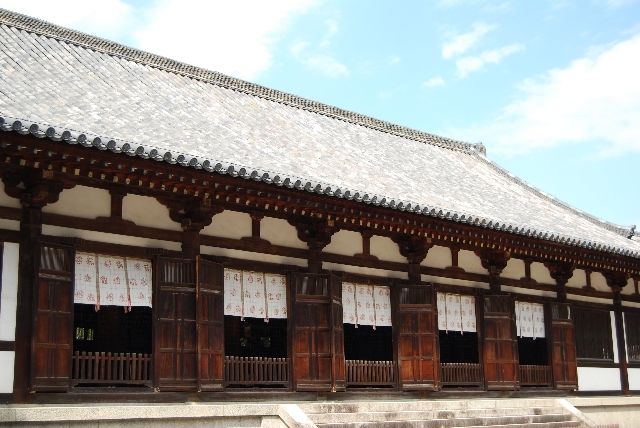 Hoodo Hall of Byodoin Temple in Uji City, Kyoto Prefecture. 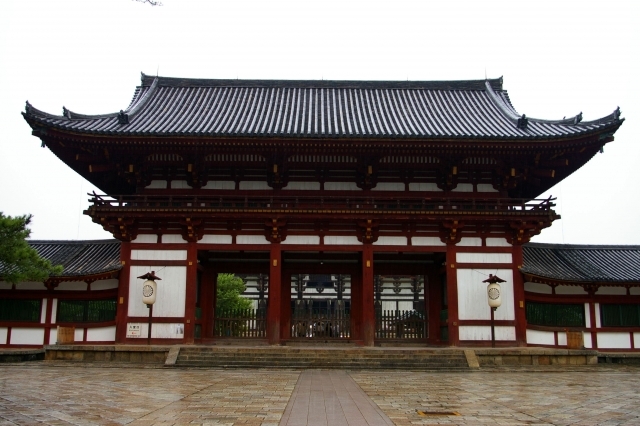 The temple was built with the idea of “Mappo-Shiso”（末法思想）, pessimism due to decadent-age theory, and for realizing “Gokuraku-Jhodo”（極楽浄土）, the Buddhist Paradise. And Tendai Buddhism（天台宗） was introduced by Saicho and he founded Enryakuji Temple on Mt. Hiei. 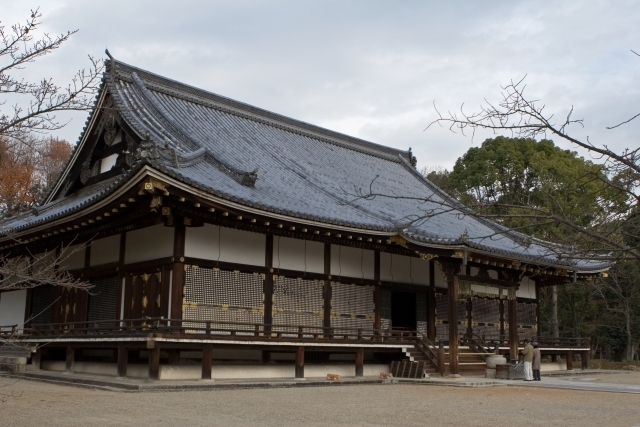 After that, Kukai began Shingon Buddhism(真言宗） and Koyasan-Kongobuji(高野山金剛峰寺） in Wakayama prefecture. Some new Buddhism sect were launched in Kamakura Period, called Kamakura Buddhism（鎌倉仏教）. Rinzai sect（臨済宗）, the branch of Zen sect was based in Kamakura city, Kanagawa prefecture. In Muromachi Period, the unique styles were seen including Kinkakuji Temple（金閣寺） and Ginkakuji Temple（銀閣寺）. And “Karesansui”（枯山水）, a dry landscape with rock garden in zen temples, was developed in the period. 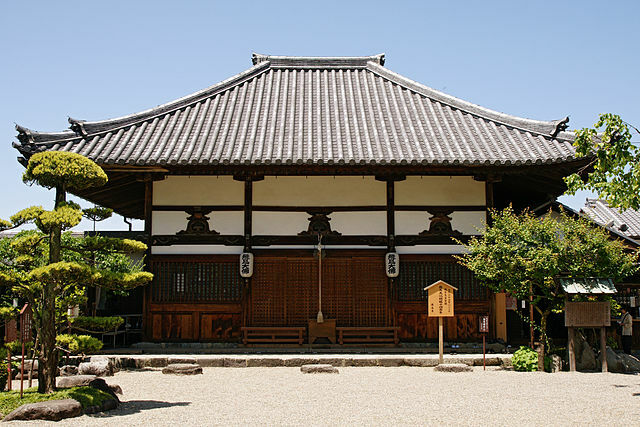 Until Edo Period, Buddhism had kept influence in Japan. But the government adopted the policy to establish Shinto as the state religion in the early Meiji Period. It led the headwind for Buddhism. Haibutsu-kishaku(廃仏毀釈) was the movement of demolishing the temples and the Buddha statues. For example, Kofukuji was ordered to donate the most of their territory to the governmet and destroied the wall, the hall, and the warehouse. After the calamity, the monks and the believers devoted to repair the temples. And now, we can see them. This entry was posted in Buddhism Temple, temple/shrine and tagged architecture, buddhist temple, famous buddhist temple, Hiraizumi, Iwami, Japan, Kii Mountain Range, Koyasan, Kyoto, main temple, Mappo-Shiso, name, Nara, Nikko, pagoda, rock garden, Zen sect. Bookmark the permalink. ← The location of Kyoto shi (city) and on google map.